For the Spring 2014 A Détacher collection designer Mona Kowalska tapped the team from Shiseido Japan to create an utterly unique hair, beauty, and nail look to compliment her exquisite collection. Skin was smoothed out with Shiseido sheer and perfect foundation. Eyes were heavily bronzed using Shiseido Luminizing Eye Colors and paired with a barely-there lip tint, created using Shiseido Benefiance full correcting lip treatment. 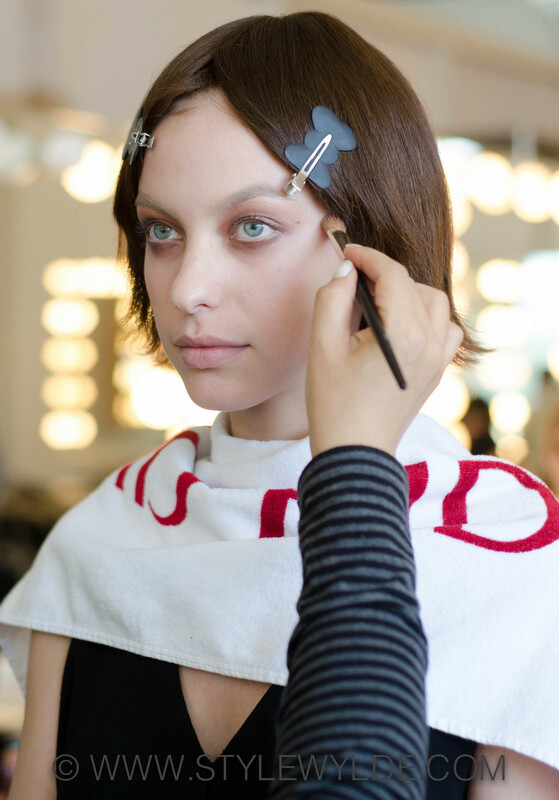 The beauty was accented with wigs, that were custom-cut on the spot by the Shiseido team for a dynamic uniform look. All images : C.Hope/S.Whittle for Style Wylde. For more from the A Détacher Spring 2014 Runway check out the Style Wylde runway feature here. Copyright © 2018, Style Wylde.